« In Construction? Visit the online store of the Historical Construction Equipment Association for gift ideas! Published on November 24, 2018 in Featured Article and National. 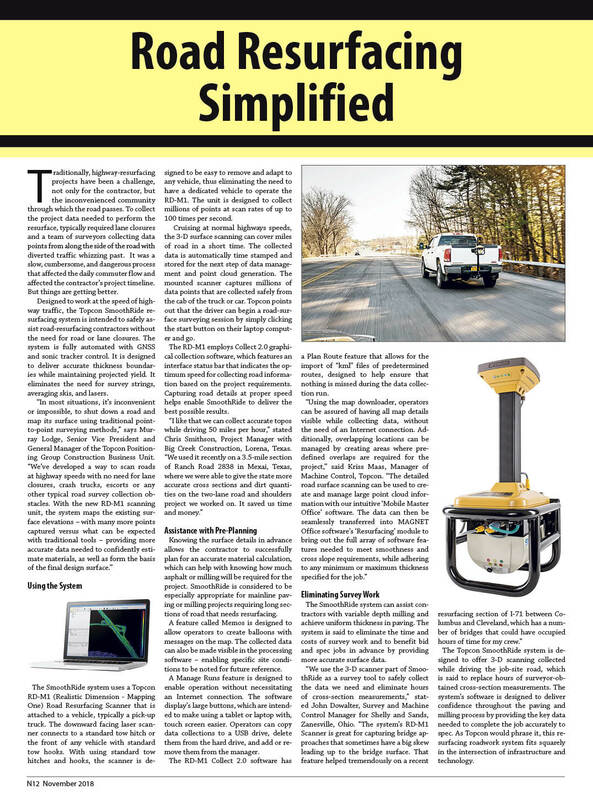 Closed Tags: 3-D scanning, asphalt, bridges, concrete, construction, construction industry, contractors, highways, infrastructure, Interstate Highway System, pavement, roads, safety, Topcon RD-M1 Road Resurfacing scanner, Topcon SmoothRide, Topcon SmoothRide resurfacing system, transportation.